As we limit ourselves to 140 characters, we might console ourselves that even really, really smart people sometimes get things really, really wrong… e.g., according to the great German astronomer and mathematician Johannes Kepler, it was on this date in 4977 BC that the universe was created. 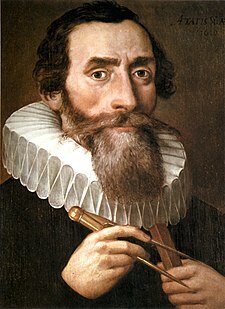 Kepler’s observations and theories had a powerfully positive impact on human knowledge, building as they did on the work of Copernicus and Tyco Brahe to influence (his contemporary) Galileo and their followers, maybe most notably, Isaac Newton. But for all that, Kepler’s fix on creation was, modern calculations suggest, roughly 13.7 Billion years off.